A piece of nature in your home! 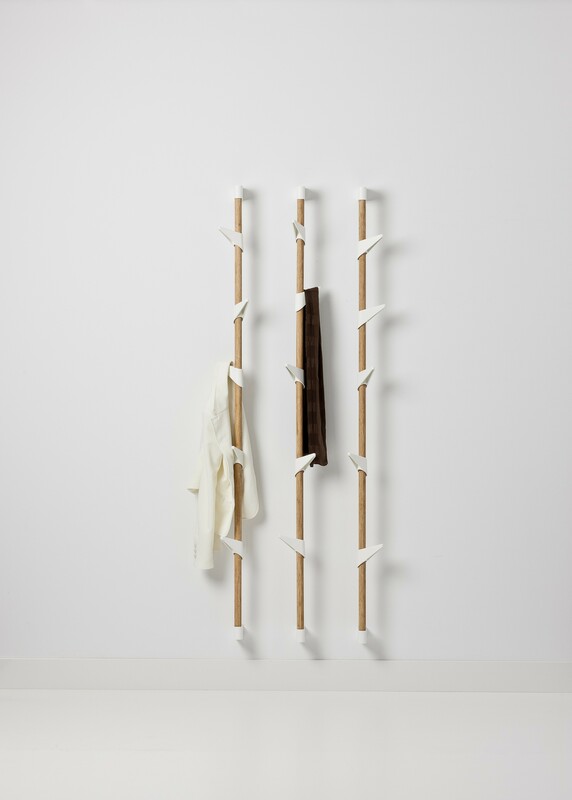 The Bamboo wall coat rack by Cascando is beautiful in its simplicity. This designer coat rack consists of a 180cm vertical bamboo stand and matt-white plastic hooks shaped like leaves. The Bamboo wall 5 small coat rack is available with 5 adjustable coat hooks. In combination with the smaller coat racks (90cm and 3 hooks) this creates a playful effect. 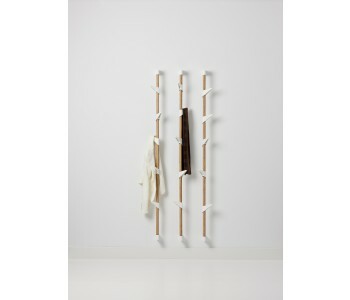 The Bamboo wall coat rack by Cascando is a real gem compared to the often monotonous types of wardrobes. Whether at home or in the office, this wall coat rack never looks out of place! 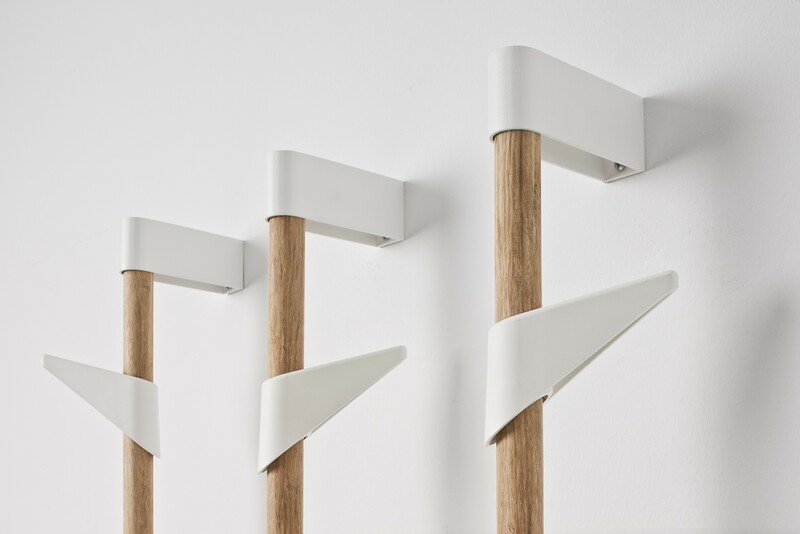 The designer coat rack by Cascando consists of a 180cm vertical stand of solid bamboo and 5 matt-white plastic coat hooks in the shape of leaves. In addition to its beautiful design, this coat rack is also practical and convenient; the coat hooks of the Bamboo wall 5 coat rack by Cascando are easily adjustable in terms of height and direction. Create a beautiful wall decoration by placing multiple Bamboo coat racks next to each other. Designer Peter van de Water is inspired by simplicity of form, function, and construction. 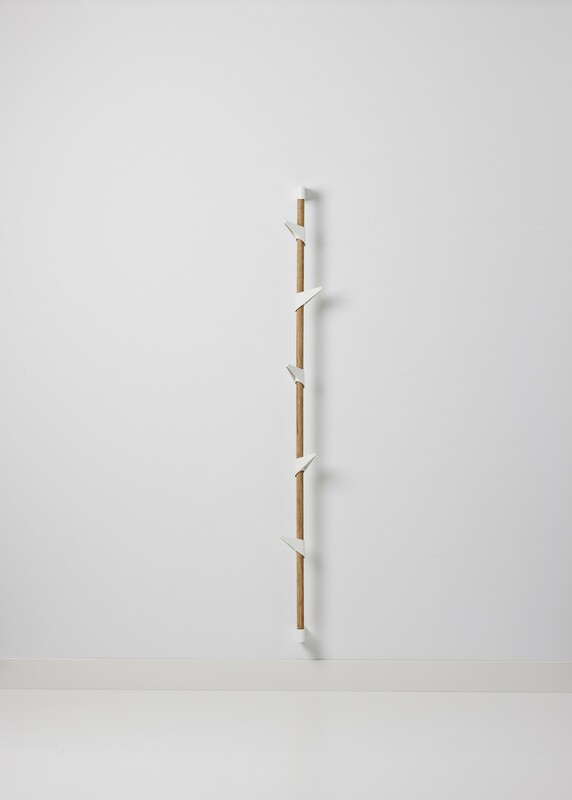 As a result, the Bamboo wall coat rack by Cascando has a vertical stand of solid bamboo and white metal support elements to attach it to a wall. The coat rack is therefore extremely stable, even with multiple coats attached. 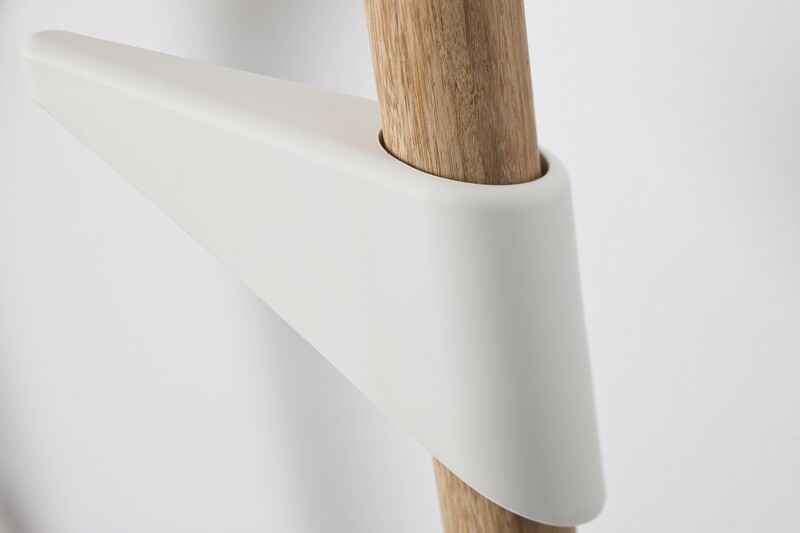 The simplicity of the design is also reflected in the 5 matt-white plastic hooks, attached like leaves to the bamboo stand. A piece of natural design in your home!